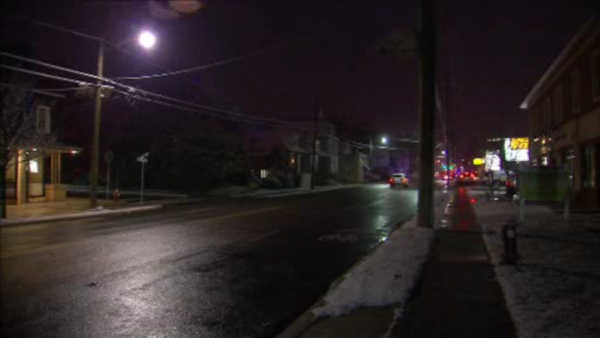 HIGHLAND PARK, New Jersey (WABC) -- A New Jersey man is facing charges after authorities say his car jumped a curb Saturday and struck a mother and her 6-year-old son as they walked on the sidewalk, killing the boy. Prosecutors say Shang Zhen Huang, 21, of Piscataway was being held in lieu of $200,000 bail after he was charged with two counts of aggravated assault for striking the pair on Raritan Avenue near the Columbia Avenue intersection in Highland Park at 3:10 p.m. The child, identified as Chaim Kraus, and his mother, whose name is being withheld, were taken to Robert Wood Johnson University Hospital in New Brunswick, where the youngster was pronounced dead at 3:39 p.m. The 37-year-old mother remained in critical condition at the hospital. Huang also was taken to the hospital, where he was treated for minor injuries before being released to police. An investigation determined that the defendant was heading north on Raritan Avenue toward Edison, when his 2013 Lexus jumped the curb and hit the two victims, authorities say. The investigation is continuing. Anyone with information is asked to call Detective Heck of the Middlesex County Prosecutor's Office at (732) 745-3300, or Officer Curbelo of the Highland Park Police Department at (732) 572-3800.